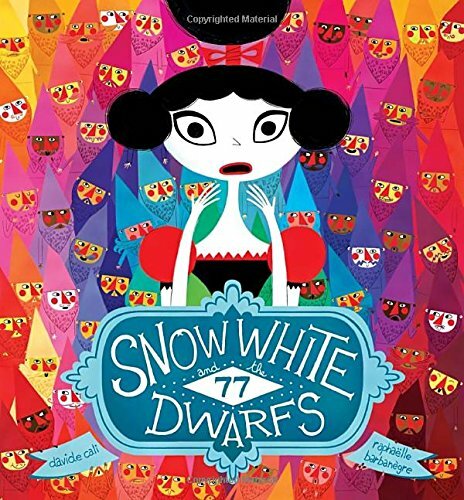 Snow White is on the run from an evil witch when she comes across some dwarfs in the forest—77 of them. They agree to take her in and keep her safe if she will help them with their chores. She soon realizes she's taking on a lot more than she bargained for—the laundry and dishes alone are enough to make anyone crazy. But beard maintenance? Snow White may just decide to take her chances with the witch. I really enjoyed this book and for several reasons. This is one that both the kid and parent can laugh at—the kids, because it's silly; the parents, because what mother hasn't felt totally exhausted after chores?? Also, the illustrations are FANTASTIC. They're super bright and vivid, but the emotion in Snow White's face is priceless. 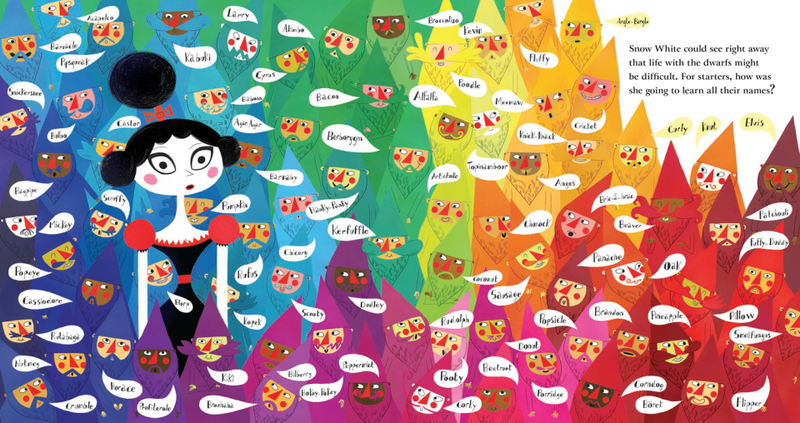 I mean, just check out this ONE page. Priceless! I'm telling you, it's that fantastic throughout the whole thing. Overall, it is a well-done book (even if the ending is predictable and falls a little flat). I totally recommend it.